Where cowboy boots go to heaven! Perhaps nothing symbolizes the spirit of the west so much as the cowboy boot. The beauty found in the craftsmanship and styling of these boots is often hidden, covered by denim. 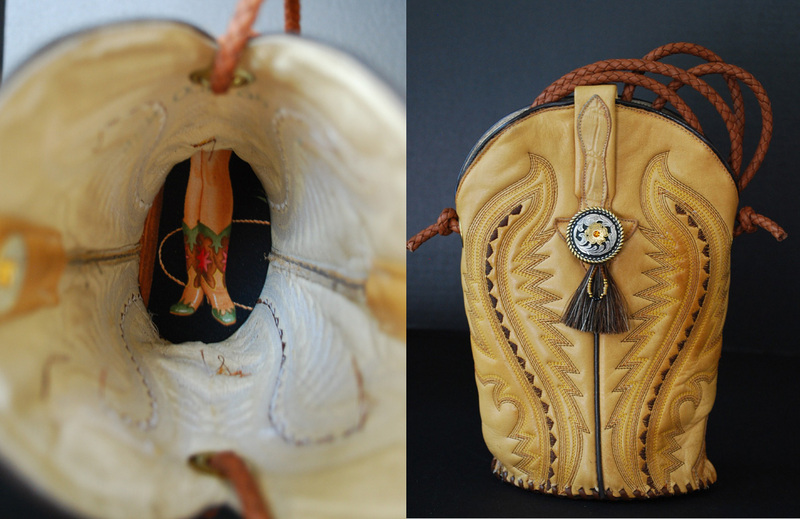 Using vintage cowboy boots to create unique shoulder bags allows this beauty to be rediscovered. 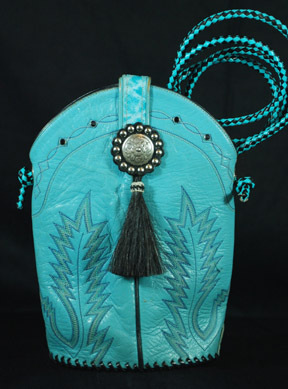 Each bag is crafted from a pre-loved leather cowboy boot that is cleaned, disinfected & conditioned, and then adorned with a concho, horsehair tassel & an adjustable braided leather strap. A Boot Hill Bag is uniquely designed to lay naturally against your side & show off the fancy design of the boot top & pull straps. 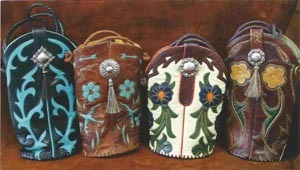 Each purse has a hand-laced leather bottom that is stamped with the Boot Hill Bags logo & lined with western-themed fabric. That's how you know you have an original Boot Hill Bag! Please click on Where to Buy to find out how you can buy a Boot Hill Bag. The inventory of Boot Hill Bags changes quickly so it is not possible to keep a full catalog on-line. Looking for something special and specific? Contact Us for more information. Do you have a favorite or special old boot that you would like to be transformed into a beautiful purse? 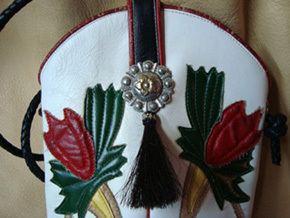 Click on Custom Made Boot Hill Bags for more info.